In this episode, Wendy and Adron talk with comic creator and animator Otis Frampton. If you’ve ever been on YouTube, there’s a pretty good chance you’ve been exposed to his work, because he’s the background artist on the massively popular animated parody series, How It Should Have Ended. With over 5 million subscribers, and individual episodes sometimes garnering as many as 25 million video views, How It Should Have Ended has exposed Otis’ artwork to an enormous global audience. 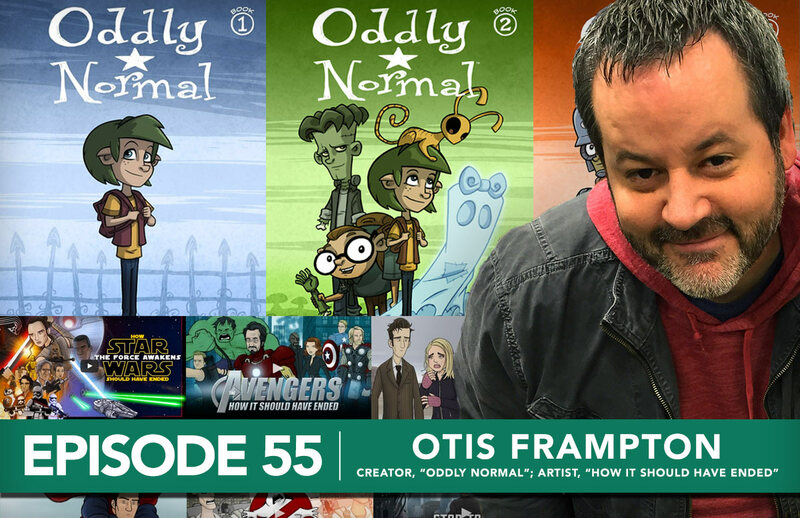 Otis is also the creator, writer and artist on the all-ages Image Comics series, Oddly Normal. The series follows the titular ten-year-old half-witch, Oddly, who makes a disastrous birthday wish. Already an out-of-place girl in the human world, she is forced to travel to her mother’s homeland of Fignation to attend a strange new school, face monstrous bullies, and fend off evil – all while trying to uncover the mystery of her parents’ disappearance. 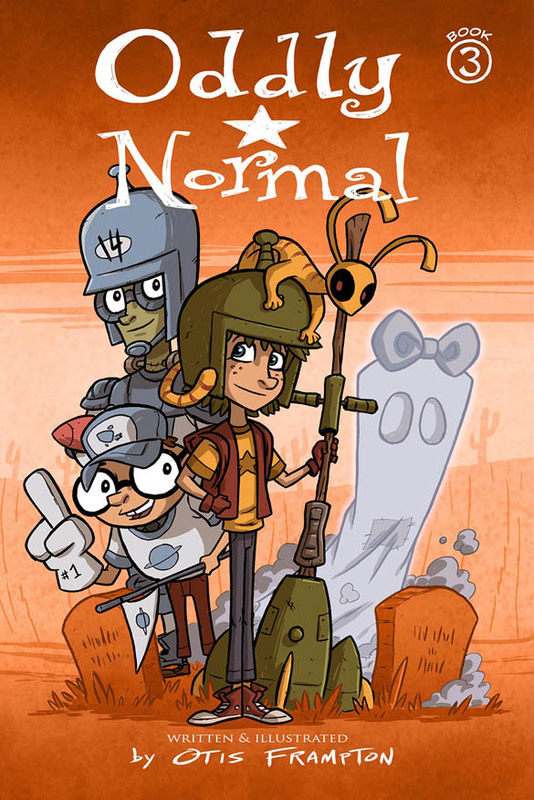 Two trade paperback volumes of Oddly Normal are available now. Volume three drops in comics shops on April 27th. 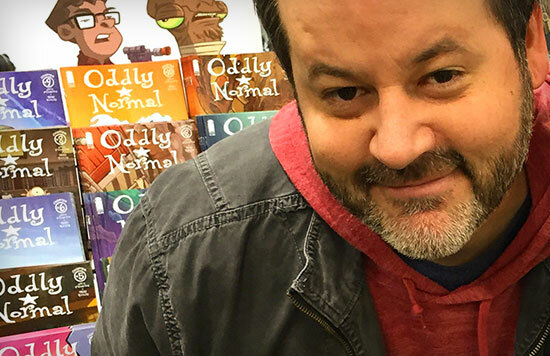 We talk with Otis about juggling the demands of his mostly one-man-show comic series with work on How It Should Have Ended, along with his webcomic ABCDEFGeek, commissions and convention appearances. And we discuss how his love of TV and film led him to work in comics, and how, excitingly, that work is now taking him right back to television.